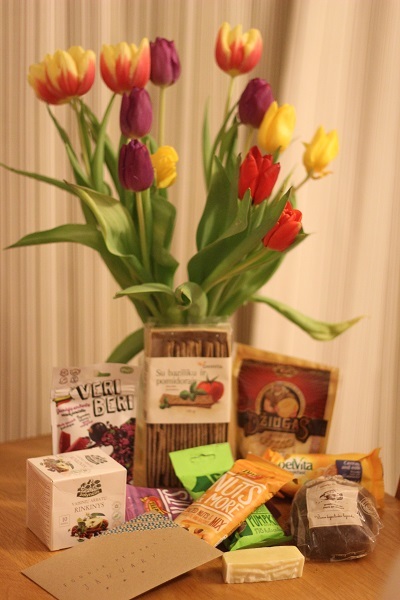 Foodie Penpals – a parcel from Lithuania! Have you ever heard of foodie penpals? Until a couple of months ago neither had I. 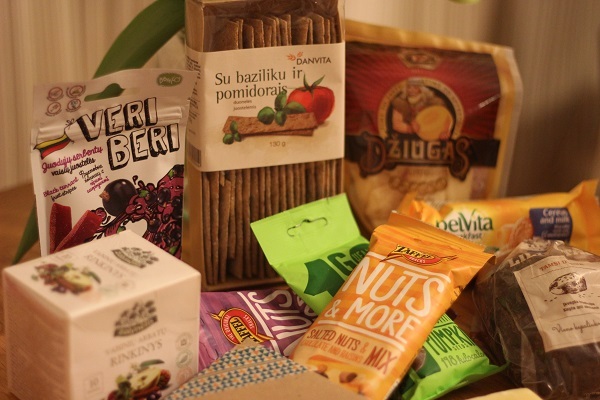 But it’s an awesome way for food bloggers and their readers to get to know each other a little better by giving and receiving a food filled parcel in the post each month. It started in America, but Carol Anne at This is Rock Salt bought it over to the UK and Europe. The way it works, is that you sign up . Participants are then matched on the 5th of every month and you get given their email address. Next you send an email finding out a little bit more about their penpal, their likes and dislikes, any allergies, and of course their address. You put together a parcel made up of anything you like for your penpal – home baked treats, local or unusual shop bought treats, cake cases and decorations are all popular. The only one thing you MUST include is something hand written – either a little note explaining what you’ve put in your parcel and why or perhaps a recipe card. There is a limit on how much you cans spend (up to £10) so that it makes it more accessible for everyone. And afterall, it’s the thought that counts not the cost!!! The box must be posted by the 20th. Everyone then receives their box the week later and instagram and the blogosphere gets filled with pictures and messages about the lovely packages received in the last week of the month. What a great idea right? 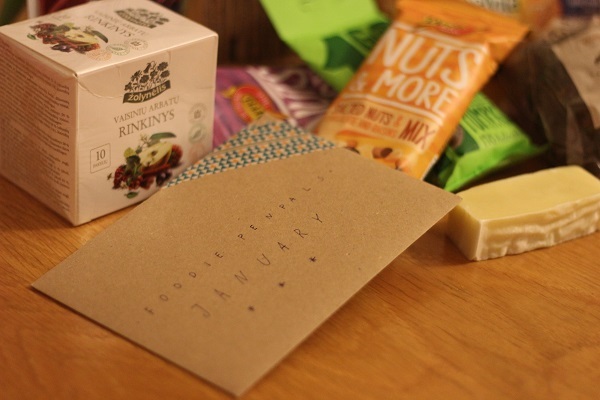 The first month I took part I was sick and didn’t get round to writing a full post on my box (sorry!!!) though I did do a “reveal” on instagram. It’s such a fab idea though that I really wanted to share it with my readers and I’m going to make sure I uploaded the parcels I receive a lot quicker from now on. This month I was paired with the lovely Inga. Rather unusually we were sending our parcels to each other but I thought this was extra special because its encouraged us to email much more frequently. I loved that she had put so much thought into the box. 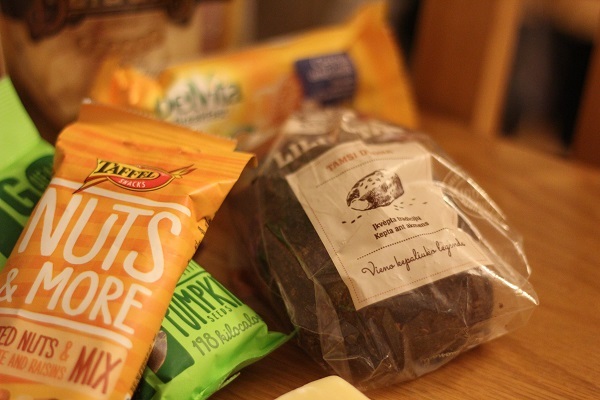 The box I sent back to Inga was full of savoury snacks, from a big bag of Walkers sensations (because crisps are her favourite), to seasoning and kernels to make her own popcorn. Inga also works in a chocolate shop, and because I worked in Thorntons for almost 6 years, I decided to send her a box of Thorntons choccies and their special toffee which went down really well! I love the feeling you get when the email comes through from your penpal saying how much they love your gifts. The deadline for joining is the 4th of every month so if you do want to get involved you better sign up quick! Who knows, maybe we will be penpals next month?! Thank you for letting us know about this awesome idea! My pleasure Linda. Will you be signing up?